Do you accept proposals from outside the United States and from non-U.S. citizens? Yes. 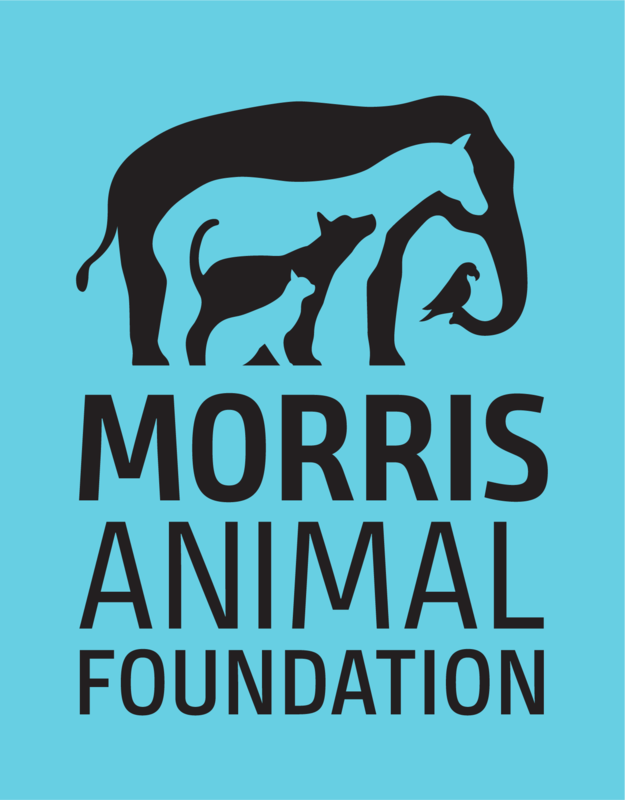 Morris Animal Foundation funds companion animal and wildlife scientific health and welfare projects all over the world. You do not need to be a U.S. citizen to apply. For more information about criteria and submitting proposals, visit For Researchers. Does the Foundation contract with individuals if I want to do a research project on my own? No. The Foundation cannot accept submissions from individuals. Applicants must apply through an institution that can enter into a legal contract (Grant-in-Aid Agreement) with the Foundation. For more information about criteria and submitting proposals, visit For Researchers. Does the Foundation support animal shelter or rescue work? No. The Foundation does not award grants to fund the costs of administration, training programs, educational outreach or operational structure of animal shelters, rehabilitation centers, wildlife sanctuaries, etc. However, the Foundation does support animal health research projects that may have a shelter component. For more information about criteria and submitting proposals, visit For Researchers. Does Morris Animal Foundation fund health studies for agricultural animals (e.g. cattle, pigs, sheep, goats, chickens)? The Foundation does not provide funding for agricultural animal health studies. For more information about criteria and submitting proposals, visit For Researchers. Can an award be made to a government agency, for-profit company or veterinary clinic? Yes. While most of Morris Animal Foundation grants are awarded to veterinary schools and conservation organizations, other types of groups or organizations can receive awards if they adhere to our guidelines and are pertinent to our mission. For more information about criteria and submitting proposals, visit For Researchers. Morris Animal Foundation has three recurring calls for proposals in small companion animal, large companion animal and wildlife health studies. On occasion, the Foundation may make a special call for proactive proposals for a topic of interest when we receive a significant, restricted gift from a donor or in emergency animal health situations. The Foundation is unable to receive and review project descriptions outside of our grant application process and review cycle. If you are unsure whether a research proposal would be appropriate to submit, please review our current studies. For more information about criteria and submitting proposals, visit For Researchers. Grant types include Established Investigator, First Award, Fellowship, Pilot Study and Veterinary Student Scholar. Can you describe the grant review process? Check out this complete description of our review process. Can I submit a proposal to both the Fellowship Training (as a fellow) and First Award (as the principal investigator) programs? No. It is not possible to qualify for both awards. For more information about criteria and submitting proposals, visit For Researchers. I have received an NIH K award or other training/fellowship award for greater than $20,000. Can I still apply for a First Award grant? No. To be eligible for a first award, you must not have received previous funding as a principal investigator for more than $20,000 for any single extramural award. This includes training and fellowship awards. If your proposal does not advance to full review, you will be notified approximately three months after the proposal submission deadline. If your proposal advances to full review, you will receive a written review by our Scientific Advisory Board, along with a notification of funding status, approximately five months after the proposal submission deadline. Should wild horse health studies be submitted in the wildlife or large animal call for proposals? Morris Animal Foundation, in keeping with the opinions of experts in both wildlife and equine health, considers wild horses to be feral domesticated horses. Therefore, proposals pertaining to wild horse health should be submitted during the Large Animal call for proposals, which opens each April and closes in July.